Raise your hats off to your achievers and give them a stress-free and festive graduation celebration at New World Manila Bay Hotel. A grand celebration calls for a special and fuss-free graduation rites preparation in one of the hotel’s well-appointed rooms. 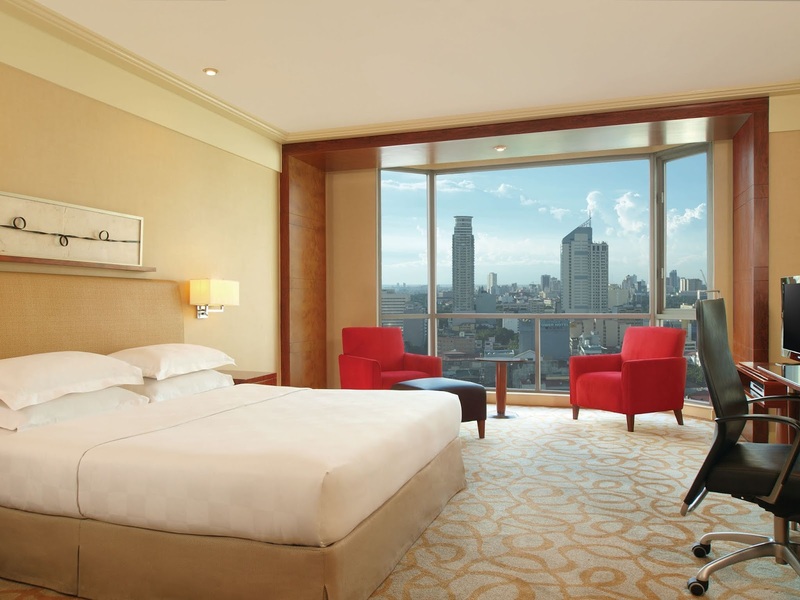 All rooms showcase a majestic floor-to-ceiling view of the city or the bay, with windows allowing natural light perfect for dressing and glamming up. With rates starting at PHP5,000, graduates can avail this exclusive room promotion which includes daily breakfast buffet for two (2) and exclusive restaurant discounts—50% discount for lunch and dinner buffet at Market Café, 25% discount at Li Li and at The Fireplace. 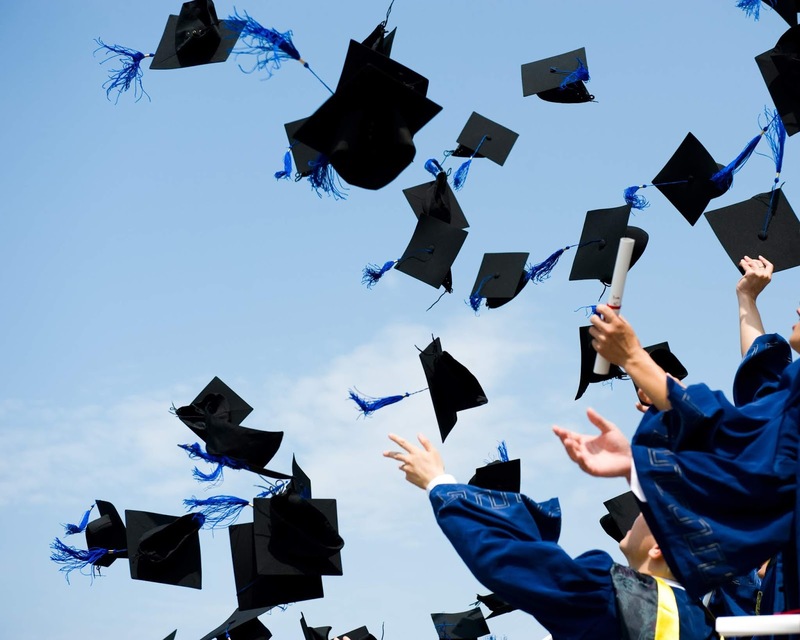 The graduation room package also entitles guests to late check-out until 2:00 p.m. (subject to availability), complimentary high speed internet access, and 20% discount on massage services at The Spa at Club Oasis. Make sure to share the big day with your loved ones and dine at any of the hotel’s dynamic dining destinations. Graduates dine for free when accompanied with at least two paying guests at Li Li, Market Café, and The Fireplace. Guests dining at Market Café can enjoy interactive dining with a self-service, market-style set-up featuring the theatrical live cooking of Western, Chinese, Japanese, Korean, and Filipino dishes and desserts. Li Li, headed by Hong Kong executive Chinese chef Raymond Yeung, presents the most authentic Chinese dining experience, using only the freshest of ingredients and live seafood, while meat lovers can enjoy prime steaks, grilled specialties, Western fares, and an impressive selection of wines at The Fireplace. This exclusive offer is valid until 31 May 2019 and can be booked on the hotel’s website at https://manilabay.newworldhotels.com/ or by calling +63 2 252 6888. Proof of graduation (i.e. diploma, photo, etc.) is required to avail any of the graduation promos. New World Manila Bay Hotel is a deluxe hotel located at the center of the Manila business district with easy access to business and shopping areas, including Mall of Asia, the largest shopping mall in Metro Manila. The hotel is nearby historical attractions such as Intramuros and the Cultural Center of the Philippines. In recognition of its commitment to providing guests a memorable and comfortable experience, New World Manila Bay Hotel was awarded the #1 hotel in Manila, Best Value Hotel, and 2019 Travelers’ Choice by TripAdvisor. Its Chinese restaurant, Li Li and steakhouse and grill room, The Fireplace, were recognized in 2019 as one of the Philippines’ Best Restaurants by the prestigious publication, The Philippine Tatler. Market Café, the all-day International dining buffet restaurant received the TripAdvisor 2018 Certificate of Excellence for its exemplary cuisine and notable service. For more information and reservations, please contact the hotel directly at telephone +63 2 252 6888, email reservations.manilabay@newworldhotels.com or visit newworldhotels.com. New World Hotels & Resorts’ deluxe properties are located in popular Asian gateways and getaway destinations. They are stylish hubs where business and personal connections are made. Its ten hotels, and one affiliated property, are located in China, Vietnam, Malaysia and the Philippines. These signature properties will soon be joined by hotels and resorts in Bali (2020), Kota Kinabalu (2020) and Bangkok (2020.) New World Hotels & Resorts offer a full range of amenities and services, including multiple restaurants, business services, extensive meeting facilities, Residence Club executive floors and recreational options. For further information or reservations, please contact your travel professional, visit newworldhotels.com, or follow the group’s Facebook page for the latest news.